Perfect starter home located in the Jockey Club! This home is priced to sell and has alot of potential. Recent improvements include a NEW ROOF in 2018 and a new water heater in 2017. 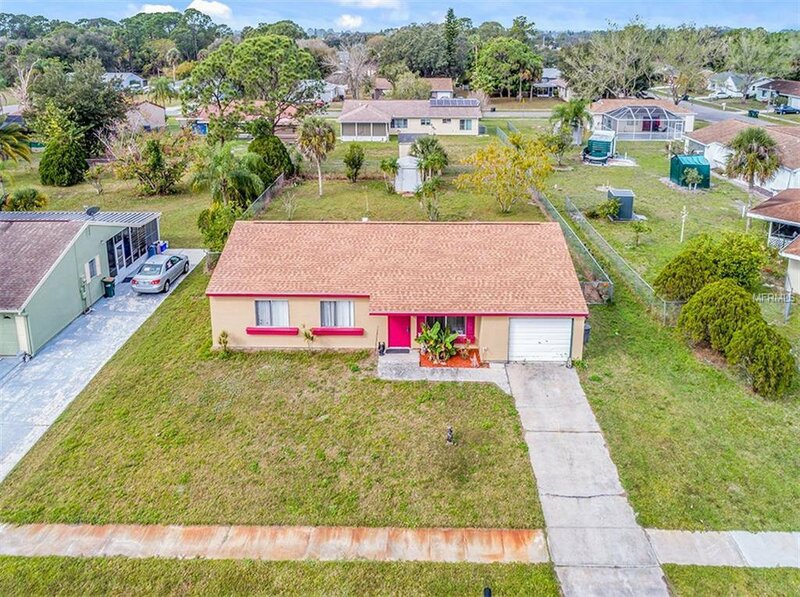 The exterior of this property features tons of curb appeal, a 1 car garage, a metal shed, and a large fenced in back yard. Once inside you will notice a large kitchen just off the dining room which also has access to the screened in lanai. No need to worry about hot summer days of doing laundry in the garage thanks to the interior laundry room! Seller is willing to contribute towards buyer's prepaids and closing costs. Listing courtesy of RE/MAX PALM REALTY. Selling Office: RE/MAX PALM REALTY.